We’re SAGA. We’re pretty sure you’ll have heard of us. After all, we’re one of the most recognised and trusted brands in the UK, offering a huge range services to the over 50s market. We make it our mission to enable all of our customers to lead the life they want to lead. But we can only do that with the help of a fantastic team who deliver a brilliant experience. So why not consider joining us? We’re pretty sure you’ll fit right in if you’re a real ‘people person’ who has a natural flair for customer service and will think nothing of going that extra mile. Right now, we’re growing our teams and are looking for Call Centre Agents to join us. You don’t need to have any specific qualifications, what’s more important is that you can bring a confident, friendly telephone manner and leave the customer happy each and every time. If you’re keen to make your mark, we also offer great pay progression so that you’re rewarded and recognised for what you can do! It’s a busy team, with a variety of roles, so day-to-day you’ll be dealing with new or existing insurance policy enquiries or processing customer’s accident claims, all whilst looking for new opportunities to promote our services in line with the caller’s needs. These roles are great if you like variety, as it’s fast-paced and no two calls are ever the same. You’ll need the ability to think on your feet, while accurately recording information received from your callers using our customer database - good attention to detail is important. 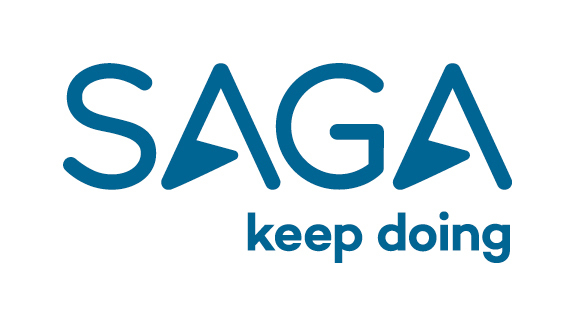 We wouldn’t be SAGA without you, so we want to build a great future for all our employees. Right from the get-go, we offer all the training you’ll need, along with plenty of coaching and support along the way. You’ll be part of the family from day one, so you’ll be immersed in a fun and friendly working environment with a team who frequently engage in a variety of social outings and events, and who treat each other with respect and a positive friendly attitude. With great prospects for career progression and opportunities to study for qualifications too, there’s no end to what you could achieve here. Some of our previous stellar call centre agents are now Operations Managers, Product Managers and a number of our Directors! If we haven’t quite convinced you yet, then you also need to know about our wide-ranging benefits including free car parking, private medical insurance, childcare vouchers, Cycle to Work scheme, pension schemes and discounts on insurance products, holidays and flights for not just you, but your relatives too. So, if this sounds like you, we’d love to hear from you! Deliver an exceptional standard of customer service within our inbound contact centre. Develop and maintain an outstanding knowledge of Saga’s insurance products and services and demonstrate the required level of competency for the role. Demonstrate compliance in line with Saga best practice and values, meeting FCA requirements and Treating Customers Fairly. Identify appropriate opportunities and provide customers with cover that enhances their all-round experience and meets their individual needs. Shows a high level of determination and resilience, able to move on after setbacks. Finds it easy to relate to other people. Strong sense of pride in doing things well. Willing to adapt approach to deliver excellent customer service. Strong caring nature and desire to help others.